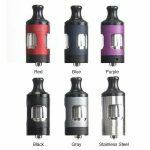 This is the new EU TPD Compliant easy to Top-Fill 2.0ml T18E Tank made with Top Quality Stainless Steel & Pyrex Glass! Simply fill with your favourite e-liquid, Click the button and get ready for a Great Vape! The Innokin ENDURA T18E is the ultimate smoking alternative which delivers a superior experience. Designed especially for mouth-to-lung style vaping, the Innokin Endura T20 Prism tank produces astonishing flavour at low power levels. 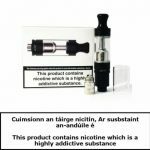 As well as being amazingly economical, this 2ml capacity Innokin atomizer tank is incredibly easy to use. The evolution of the Prism tank continues! The Prism-S is the next generation tank and coil system. Focused on pure flavour and throat hit, this MTL tank provides an exceptional experience in how it vaporizes e-liquid. Think of this tank as a cross between a MTL (Mouth to Lung) and a DL (Direct Lung) tank as both can be achieved in our opinion. 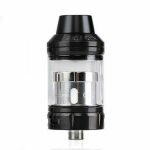 A convenient and discrete top-fill style tank with a simple 3 hole adjustable airflow system makes this tank a great starting point for any beginner. 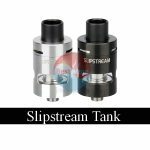 The Innokin Slipstream Tank is a 2ml TPD compliant tank with a push and twist top cap. It features a top fill and top adjustable airflow to reduce any leakage. Available in Black ,Silver and White. 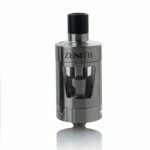 The Innokin Zenith Tank is a collaboration between Phil Busardo, Dimitris Agrafiotis, and Innokin. 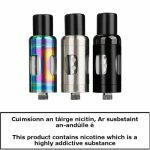 The goal was to create an easy and intuitive to use mouth to lung (MTL) replaceable coil-head atomizer. 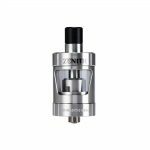 The Innokin Zenith 'Mini' Tank is a mini version of the popular Zenith Tank which was a collaboration between Phil Busardo, Dimitris Agrafiotis, and Innokin. 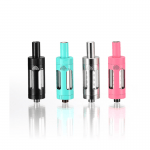 The goal was to create an easy and intuitive to use mouth to lung (MTL) replaceable coil-head atomizer.